have completely different characteristics, in which everyone has expressed an important part of the his own life, his own liking, his personality, and his education. It is undoubtedly simpler and more respectful to search into each one of them for the adjective, the feeling that is transmitted in their works, and that the works themselves inspire in us that observe them, and that maybe can make us recognize more in an artist rather than in another. Feelings of pleasure, of surprise, or maybe even of disgust. But art is also this and above all is this . Art must provoke feelings and must move. It is of little interest if what we perceive is peace or tribulation, or research, or an unfinished path. The task of art is to be not indifferent, and to provoke, to excite. 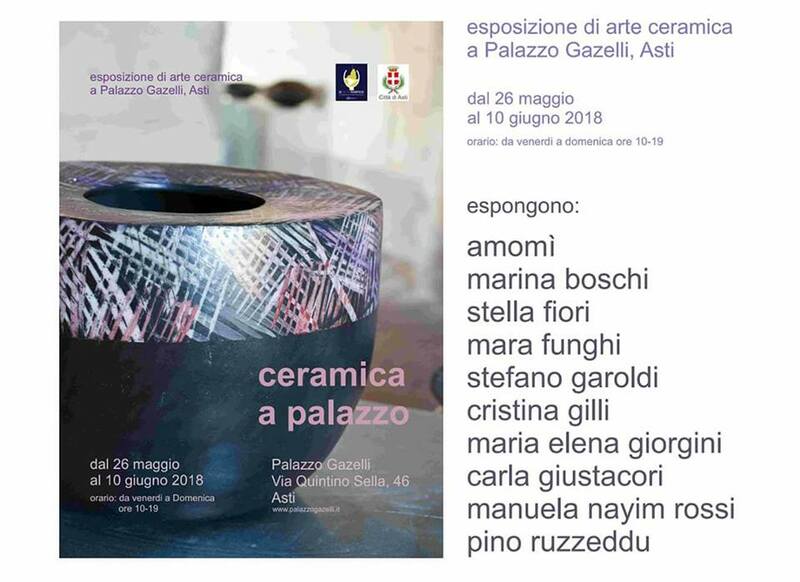 And it is very interesting to see how this is possible, even though starting from a common ceramic techniques and processes among these artists, but which, if reworked in a totally personal way, bring visually and perceptually very different results. paperclay. Combinations that these artists have combined wisely to achieve results that in the writer have from time to time aroused happiness, playfulness, harmony, elegance, but also grumpiness and strength.